I remember years ago I read a study on the science of shopping where the observations of how women and men shop was dissected. It stated, after mapping out shoppers, that men were quick shoppers, often went straight to what they were looking for and were not easily drawn to other displays, whereas women browsed longer and generally spent more time shopping despite finding whatever they had come to shop for. This article stuck with me for a very long time and Im sorry I cant provide a link. You see, I love clothes, but I hate shopping. Let that sink in. I feel I identified with the way men apparently shop. I cant stand the thought of aimlessly walking around poorly circulated and generic malls or indecisively trying on one garment after another from one shop to the next. This also means that I dont like shopping with other people, unfortunately for my mother who loves shopping (but also hates my company while shopping). I cant stand the "should I get it, should I check another store, should I try another size, what do you think" etc. And I still feel that in store shopping is a better option than online because I like to see and feel the clothes that I am getting. I don't always shop with a particular item in mind but I do, however, shop fast. "Lonely shopping" I like to call it. I listen to my favourite music in my earphones and I enter the store and scan. If I like it, I try it on. If it looks good, I buy it. No indecisiveness, no hassle, no opinions. Just me, my music and my clothes. There are also few people I do like shopping with but their shopping methods match mine, so its fine. These pants were a complete impulse buy. My cousin was trying them on in the change-room next to me and didn't like the way they fit. I asked what the size was and decided that I would try them on for fun but ended up loving them. 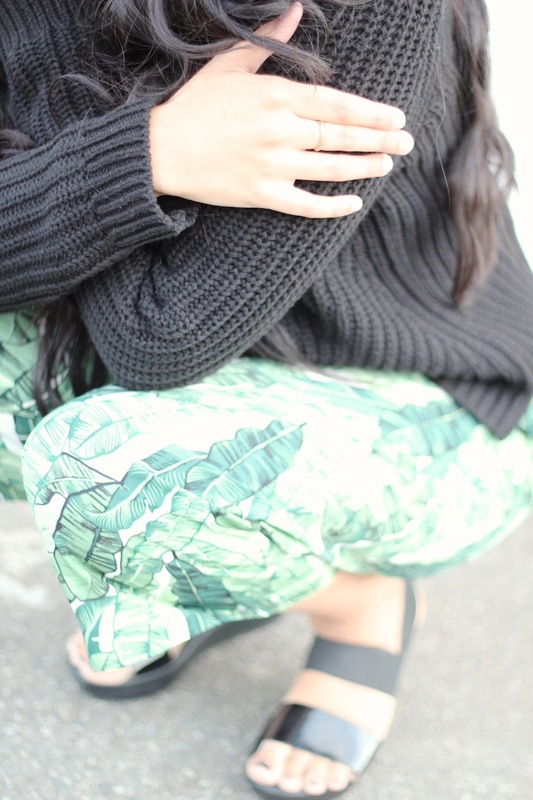 The banana leaf print has quickly become one of my favourites and I love it on everything from pillows to sheers to trousers! I can relate to this. I hate trying on clothes and more often than not I don't. I also never aimlessly shop. I just scan through things really quickly and it doesn't take me long to know whether or not I've found something worth buying. Those pants! I love anything green and they look great on you! 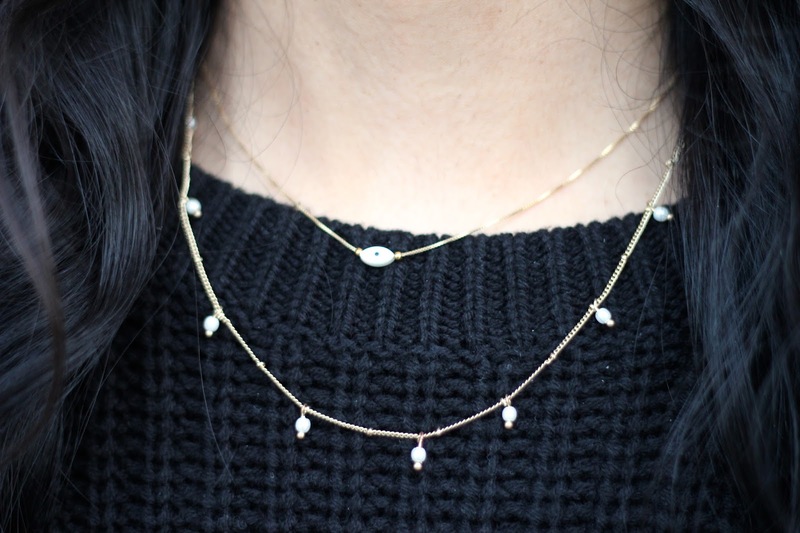 This is so fashionably comfy! 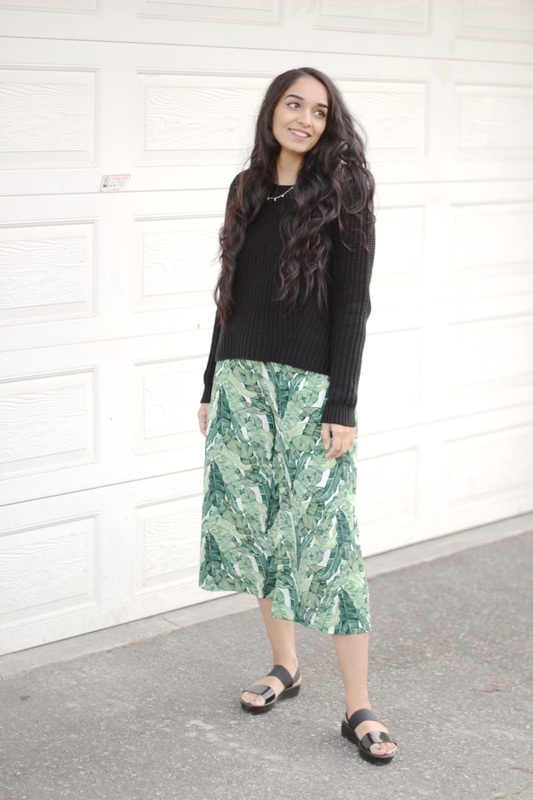 Loved how you styled the printed culottes with the chunky sweater. There is something in this outfit that I can relate to. Great post! 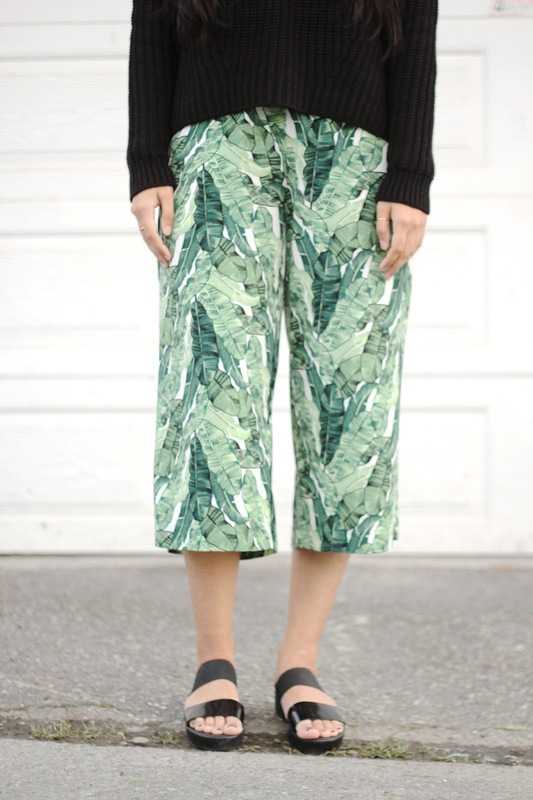 The tropical pattern of your pants are amazing!! I would totally wear this during the summer time as a lounge outfit. What a gorgeous outfit! 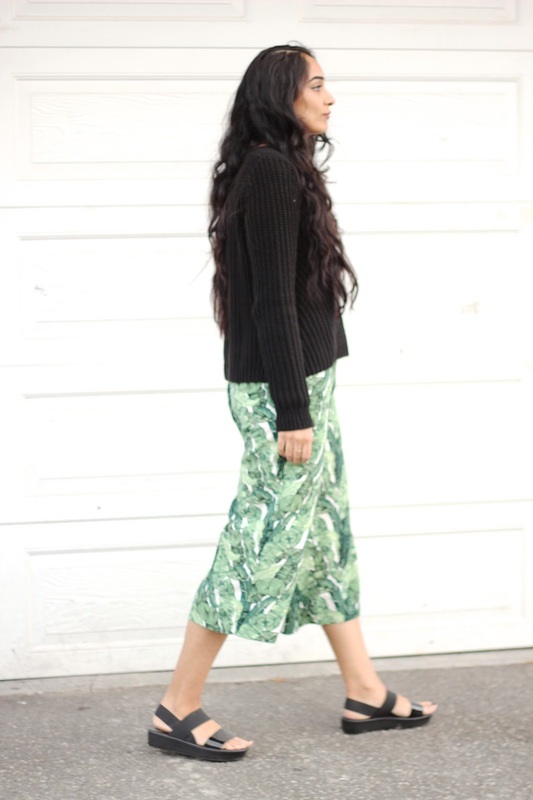 Absolutely love the print on your skirt! Shopping is many people's favorite pastime. Tons of people love to hang around the mall and explore new products.